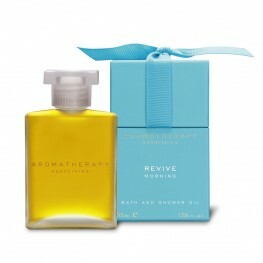 For deep relaxation and a restful night's sleep use Aromatherapy Associates Deep Relax Bath Oil. ..
Take it easy, unwind and calm your tired body and mind with this Aromatherapy Associates Light Re.. The comforting combination of camomile, vetivert and ylang ylang in this easily absorbed, nat..
Revive your spirits, re-energise your body and enhance your overall wellbeing with this luxury Ar..
Detox, invigorate and energise your mind and body with the luxurious Aromatherapy Associates Revi..
Inhale deeply and experience the clearing effect of these anti-viral essential oils in Aromathera..
Balance your emotions and lift your spirits with this special Aromatherapy Associates Support Equ.. Experience the easing and comforting powers of lavender and peppermint in the Aromatherapy Associ..